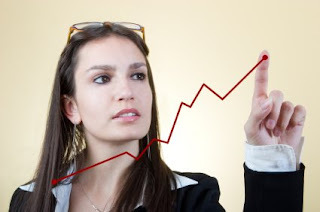 What do women entrepreneurs need to be successful? According to a 2006 study by OPEN from American Express, 43% of women business owners (vs. 32% of men) say the one thing they need to be more successful is money. You can interpret that several ways. They need more capital to run their business. They need more income to cover overhead. Or they just plain need more sales. I am a female entrepreneur. I’ve been involved in managing or owning a business since the early eighties (no kidding) and I can see clearly the issues and challenges women face. With my father as my role model, I absorbed the skills necessary to run a successful business. I have to say I learned to take risks. If I had played it safe I wouldn’t be here today. I’d be working a corporate job with hoards of other people. But I wouldn’t be happy and I wouldn’t be earning the kind of income I’ve always dreamed of earning. Having your own business affords women the lifestyle they crave. Work and life balanced together. In some ways that means having it all. Is it possible to have it all? Can women entrepreneurs have a successful business without sacrificing their personal lives? YES! It can be done, but it is a learning process. It involves creating priorities and working smarter, not harder. It means not doing it on your own, but using your network and your noggin. So what can women do to be more successful? TAKE MORE RISKS!! Life is risky – You could be run over by a bus tomorrow. Working a 9-5 job is risky – You could be fired at any time. If you’ve always dreamed of having your own business, just do it! Invest the funds necessary to do it right. Don’t nickel and dime yourself to failure. I’ve seen it too often. GET A MENTOR – I am lucky to have good old Dad as my mentor. Women need to develop relationships with other women AND with successful male business owners. Let’s face it. Men have been managing businesses far longer than women have – there is something to be learned from their history. CREATE A SUCCESS PLAN – Write it down and make it real. What is it you really want to accomplish? What strategies will you utilize to get out of the box? Because we have tunnel vision when it comes to our own businesses, it’s important to have the support of an outside person or group. I have created a group for women business owners where they can get support and brainstorming for their business: Women Seeking Success. There have been FIVE groups thus far. The 6th In Person Group will begin on July 8th 2008 and there are only 3 spots remaining. This group is all about learning to MAKE MORE MONEY through Effortless Marketing: drawing business to you.